Our 50 foot Stereo / VCR RCA Cable features 2 RCA Audio connectors and a RCA RG59 Video connector, all of which are Gold Plated. This cable has a larger video cable used for higher quality video transfer. RCA cables connect video components together. RCA is a type of coax connector used for attaching audio and video devices, such as stereo equipment or a composite video monitor. 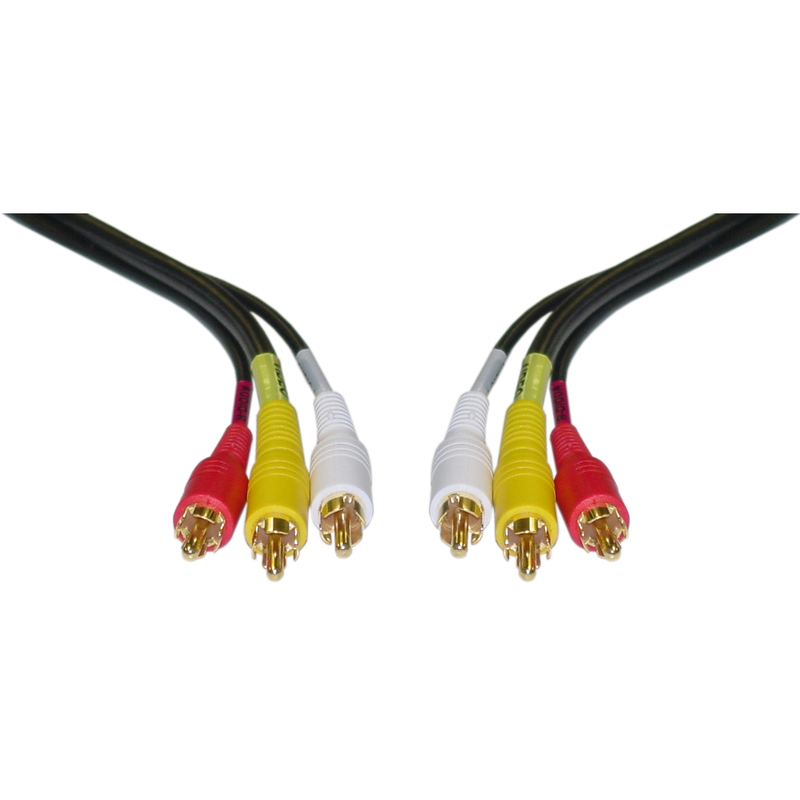 The RCA coax cable provides economical, plug-in coaxial connections for audio and component video applications. Most CD-players and MD-players, DVD-players, and cable boxes use dual RCA connectors for output. RCA connectors are those red & white (or red & black) plugs used with most home audio equipment. You will most likely need a cable with two RCA plugs in one end. Excellent quality, works fine- I'd give it 5 stars. this cable was exactly what i wanted..great quality..most definitely very satisfied !!!! Very good build quality and performed extremely well, especially considering the extended length. Connects DVR to PC for video captures. No issues with product. Works great, excellent video quality.